Blockchain technology is most often mentioned in association with cryptocurrencies like Bitcoin, so you wouldn’t be alone in wondering what it has to do with weed. Blockchain isn’t just about creating cryptocurrencies, it’s a secure, transparent ledger that is capable of keeping and sharing information of any kind in a way that vastly improves the trust and control of everyone along the supply chain. The biggest advantage of blockchain technology is that it has shown itself to be trustworthy, which is why cryptocurrencies like Bitcoin are so successful. The question is how exactly this technology pertains to the cannabis industry. What blockchain represents is simply a public ledger. Each new block in the ledger chain is added by a different user in real time which makes it impossible to hack. Each new block is related to the previous ones and is chronologically placed which makes it easy to verify transactions. That means that no user can falsify data or alter information in any way once it has been entered. This affords security that we need as hacking and cyber crime become growing concerns. Not only is your information secure, you can trust the data entered by users and independently verify anything that has been recorded in a blockchain. This allows secure record keeping without the need of the third party that can track anything from credit card transactions to immigration. The cannabis space is so new that it can really benefit from both the transparency and privacy that blockchain affords. Using this technology, cannabis can be traced from its source, all the way through the supply chain so users know exactly where their products originate and who has access to them along the way. At the same time, users’ private information can be encrypted and protected on the blockchain, so they remain anonymous. This kind of seed-to-sale tracking can help keep consumers safe while allowing greater control of the supply chain. This is done by verifying the farmer that grew your weed, by a lab that tested it and that it wasn’t tampered with during the shipping process. 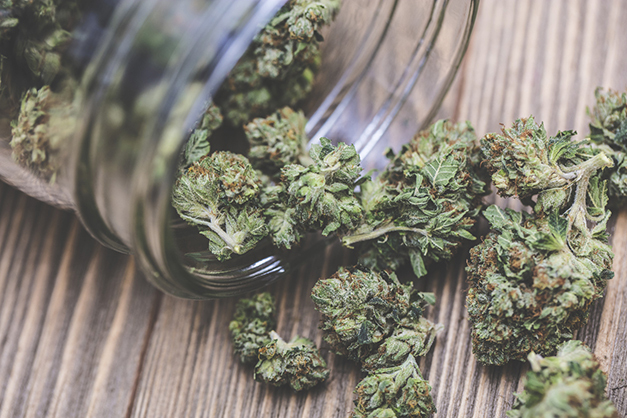 Since cannabis remains federally illegal in the US, cannabis suppliers have trouble finding ways to legally work with money as banks refuse to take them on as clients. Blockchain systems can help to facilitate transactions through cryptocurrencies. Blockchain has the potential to ensure safety and standards in the cannabis industry while allowing for greater transparency but the world of cannabis is still the wild west. There are no real standards, little infrastructure and little control. While the blockchain technology already exists, the impediment to implementation is getting everyone in the cannabis business globally to agree to common standards and protocols. Until consensus is achieved, blockchain will have limited, localized impact on the cannabis supply chain.